Are rats and mice making your life a nightmare? Residents of Westchester County, Katonah, Bedford, Bedford Hills, Mt. Kisco, Chappaqua, Armonk and Pleasantville, NY have seen the sheer trouble of rodents in their home. If you no longer want to deal with rodent infestation, use this guide on mice and rat control to prevent them from entering your home. What Damages do Mice and Rodent Cause? They can cause structural damage to your home by building their nest, gnawing on wood, books, paper, cloth and more and gnaw and burrow into furniture to create a nest. They will burrow into the home’s insulation system found in the attic and walls as well as chewing around wires, leading to a fire hazard. In short, rodents will chew on just about any item found in the basement, closet, garage and attic. They can cause irreversible damage if they chew on family heirlooms, expensive paintings and important documents. Therefore, contact Pinnacle Wildlife Control for rat and rodent control. 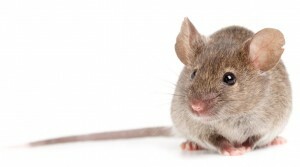 Mice and rodents carry several diseases, which humans can contract through their droppings. The diseases they carry include hantavirus, bubonic plague, salmonella and rat-bite fever. If mice and rodents are causing you problems, contact Pinnacle Wildlife Control for professional mice and rat control service. They serve the areas of Westchester County, including Katonah, Bedford, Bedford Hills, Mt. Kisco, Chappaqua, Armonk and Pleasantville, NY.